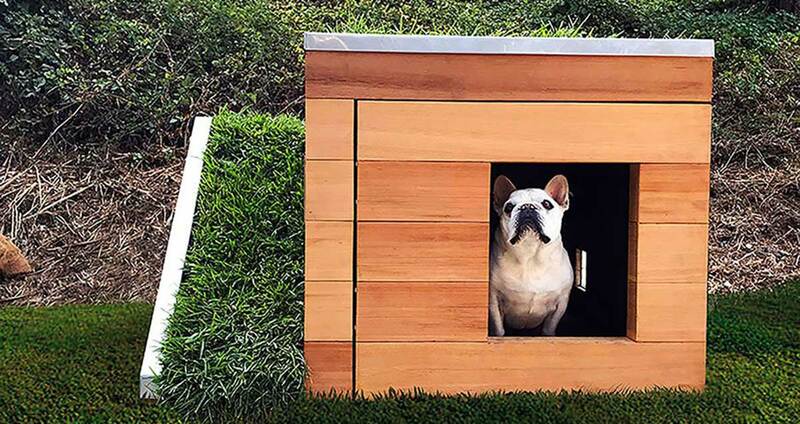 Can’t let your dog live in the house but still think that he deserves a cool and trendy doghouse? 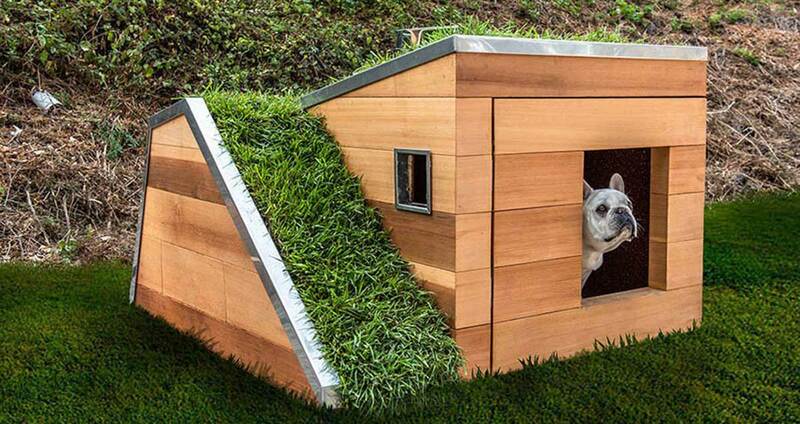 Look no further and get this house for your four-legged friend. 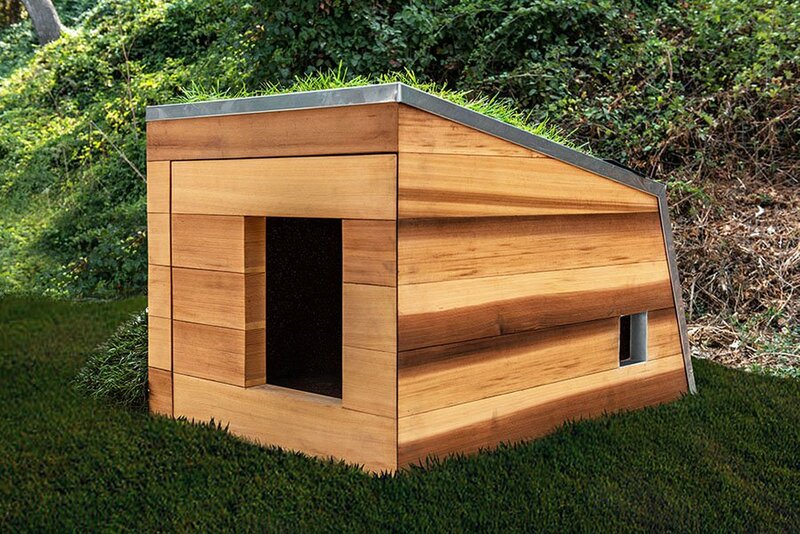 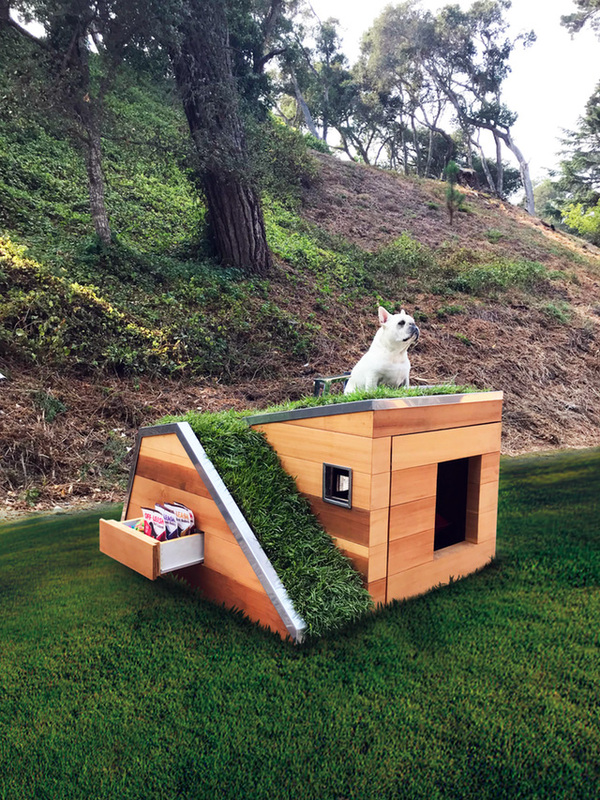 Named Doggy Dreamhouse, the doghouse is eco-friendly and offers a natural roof with a view for the dog. 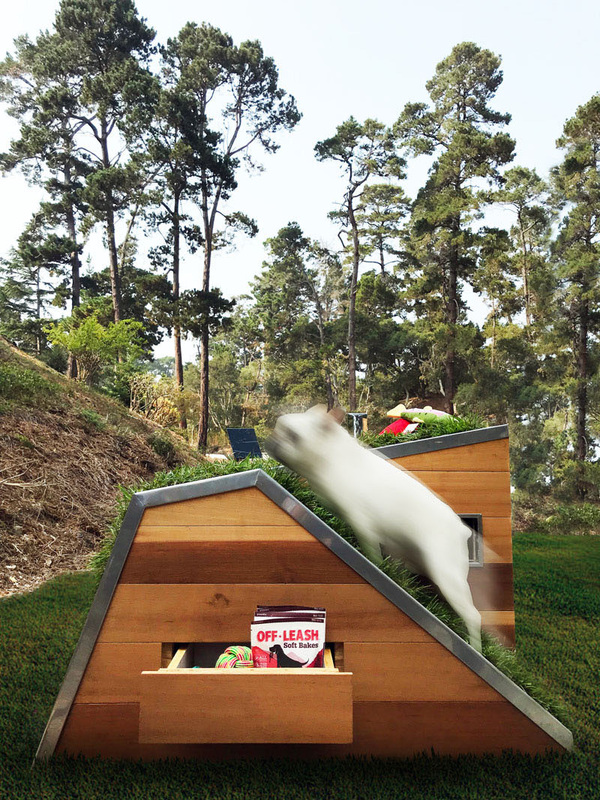 It was designed by Studio Schicketanz.